While they were studying at the same audio engineering school, Panda Dub and Paulette Wright linked to create Protect The Earth. The tune is a heavy militant stepper riddim on which Paulette Wright sings warning lyrics about Earth destruction as a result of human confusion. 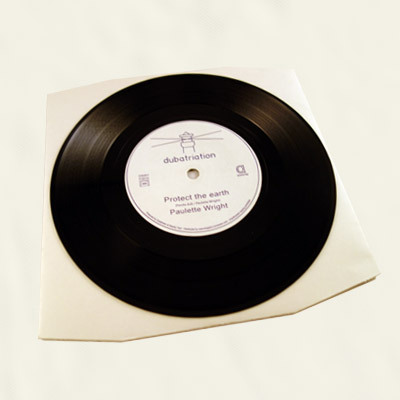 B-side is dub version, cleverly mixed by Panda Dub.